Near Mount Etna in Sicily lies Casa Cuseni, a beautiful house built in golden stone - and the home which Daphne Phelps was astonished to find she had inherited in 1947. At the age of 34, war-weary from working as a psychiatric social worker, with barely any Italian, and precious little money, she plunged into a fascinating Sicilian world. Every imaginable problem had to be overcome, not only financial difficulties but local authorities and a house staff who initially felt no loyalty to the new Signorina but who gradually accepted her as a respected member of their small community. To help make ends meet, for many years she ran Casa Cuseni as a pensione and to her doors came Roald Dahl, Tennessee Williams, Bertrand Russell and Henry Faulkner. 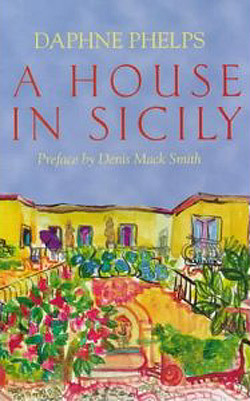 But just as important to her life and her story are the Sicilians with whom she shared the love and care of Casa Cuseni: Don Ciccio the local mafia leader, Vincenzio, general manservant who recited while he served the meals, Beppe, a Don Juan who scented his eyebrows and his moustache to attract the local girls; and above all the steadfast cook and housekeeper who lives with Daphne still and to whom this book is dedicated.